Scooby-Doo! 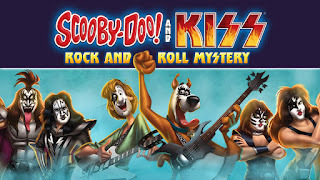 and KISS: Rock and Roll Mystery Is Out Today On Blu-ray! All the mad cap fun from the Scooby gang that you remember only in an all new mystery with rock band Kiss! • Scooby Dooby Doooooo! Click around on the soundboard and trigger classic sounds from the Scooby Doo series. • Click the box art to bring the film home today! Fun Scooby-Doo Printable Kiss Mask to Color! Thelma is my Idol !